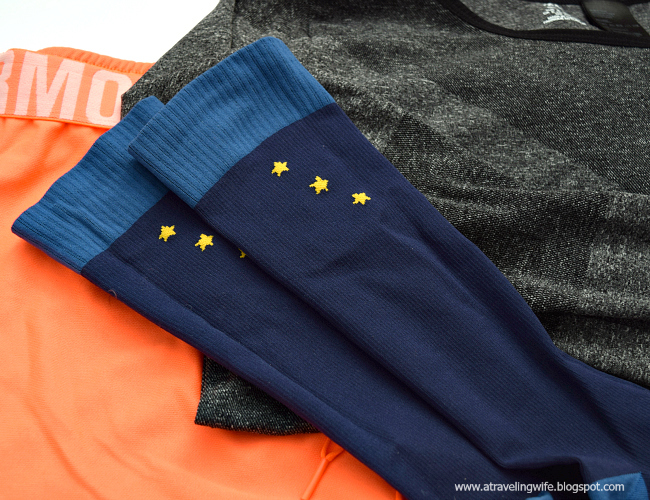 A big thank you to Soxxy for providing me compression sox to help me become a more confident runner. Have you ever tried to workout outside because the weather was absolutely amazing, only to feel self-conscious and slack at your workout? I've been there. In fact, this all started with running. Growing up, I was never really good at any particular sport but I wanted to be a runner. You know, effortlessly go out for 5+ miles and hardly break a sweat or turn red in the face. That's not me, and that's not most people. But everything with practice gets easier and turns you into an expert, of sorts. 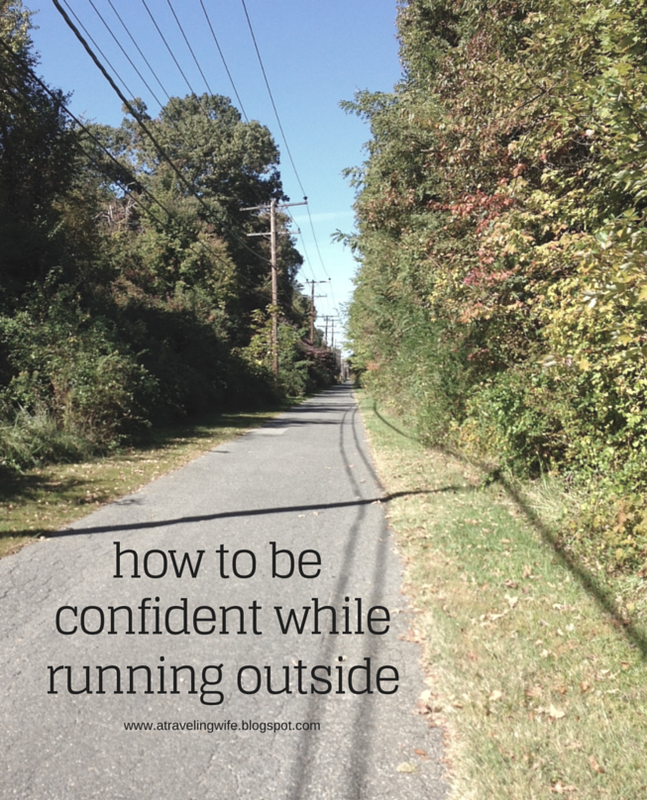 So today I want to talk about how you can feel confident while running outside. These tips can also be useful if you want to feel confident while working out outside. If you are out running your neighborhood and no one else is running, all eyes are on you. Running with a partner or group of people is also good motivation as they encourage you to push harder. But what do you do if you don't have anyone to run with? Find a route that other runners use. You won't feel like such an outcast if you are running around other athletes (like I stated above). I like to go to a local park or converted railroad and just run. Most runners will wave to each other, smile, or talk. It's some good motivation to keep going and run for more time or distance. Click to tweet: Check out these tips to gaining confidence while running outside. Everyone runs at their own pace, with their own form, and for their own reasons. Don't get so hung up about your heavy breathing, flushed face, or stomping feet. I mean, we all start somewhere, right? Persistence and practice is key. More like practice and be consistent because soon it will become easy - almost effortless. You at least put the effort in to get out and workout. Congratulate yourself and forget about all the stares or side-eyes that you receive. Wear clothes that make you feel confident. This was really important to me when I first started running outside. I wanted people to think that I was an actual runner so I went for the more professional gear. Then I became more confident and left the house wearing almost anything. Although, from my more novice times until now, I have been a huge fan of compression socks. I used to wear them because I thought they were cool but I have since learned their benefits - increase circulation, decrease swelling, and decrease muscle soreness. Click to tweet: Fake it 'til you make it - become a confident runner. The Orion Soxxy Compression Sox are one of my favorites. Not only are they super soft, but they are so easy to get on. 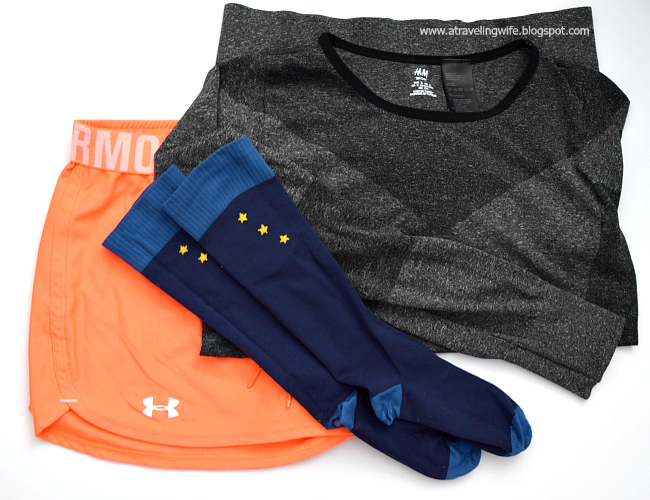 If you are familiar with compression socks at all, you would know that it's possible to break out into a sweat just trying to get them on. I'm not kidding. I don't have that problem with these. Do you try to get some exercise in while being outdoors? Have you ever been self-conscious about running outside? Are there any other confidence building tips that I missed?